Some of you probably don't think of many things when you hear the acronym "NFC". Those letters might conjure up thoughts of making mobile payments, and there's that cool ring that can unlock your smartphone, but there's not much else going on, right? Wrong. 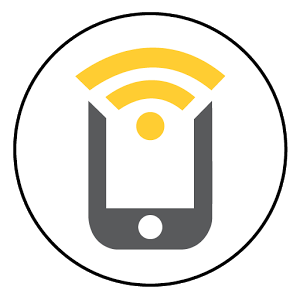 With an app like NFC Task Launcher, you can program your phone to do whatever you wish once it's near a NFC tag (which you place wherever you want them - car, nightstand, living room sofa, what have you). 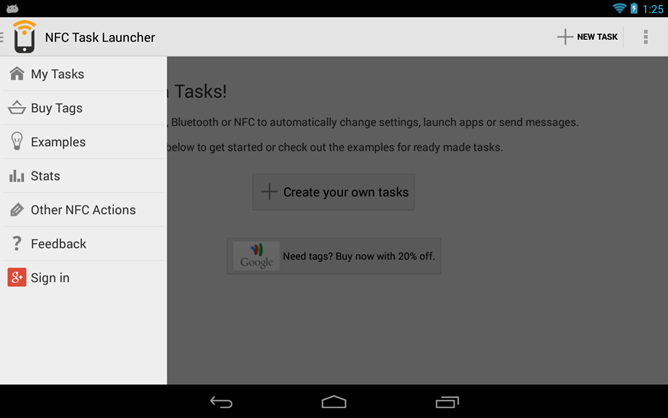 It's like Tasker, but centered around the use of these tags. Today the app has received a major update that fixes a slew of issues and introduces a few new features. The change log is quite long with this one. While there aren't many new features, what's there requires new permissions, so don't panic when it throws up the request. You will come out of the deal with a redesigned drawer, a new contact picker, and the ability to +1 things on Google+ from within the app. The list of bug fixes dwarfs the number of new features, but it's a relatively complex app. With great power comes the ability to greatly screw things up. Here are a list of things that the app should now get right. The app is free to use, but the NFC tags that it requires aren't. New users might want to pick up a few before giving the app a go, but it's not completely necessary. NFC Task Launcher provides links to purchase tags from within the app itself.